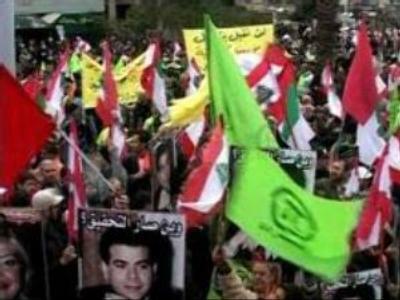 Hundreds of opposition supporters have rallied in the Lebanese capital, Beirut. They're calling for the government to find out the truth behind the deaths of Lebanese anti-Syrian officials. Former Lebanese Prime Minister, Rafik Hariri, was assassinated in February 2005 while Pierre Gemayel, the Former Industry Minister, was killed in November last year. Lebanon's Prime Minister, Fuad Saniora, is facing daily protests by the Hezbollah-led opposition aimed at toppling the Western-backed government. But he's vowed not to give in to the demands, saying it would further increase instability in the country.